Premises liability is a specific type of personal injury claim in Maryland and across the United States. Essentially, premises liability protects visitors from unreasonably dangerous conditions on a property. If the visitor sustains harm or injury as a result of a dangerous condition, then the property owner may incur legal damages. The store owner or a store employee failed to correct the dangerous condition or place a suitable warning. The first element of a premises liability claim against a store owner involves notice. The store owner or their employee must have actual or constructive notice of a dangerous condition. Without this knowledge, the store owner or their employee would not be able to correct the dangerous condition or place a suitable warning. There are two types of actual notice in the store owner context — personal knowledge and employee creation. Personal knowledge refers to direct observation by the store owner or their employee. For example, if a store employee sees a puddle of water or a broken jar, then it qualifies as personal knowledge of a dangerous condition. Employee creation refers to a situation where the store owner or their employee has a direct role in creating the dangerous condition. For example, if a store employee drops a bucket of ice or knocks product off the shelves, then it qualifies as employee creation of dangerous condition. Constructive notice is more of an abstract concept than actual notice. If a dangerous condition exists in the store — and enough time passes without a suitable correction or warning — then it may qualify as constructive notice. In this context, the injured plaintiff must prove that the dangerous condition remained in the store for an unreasonable amount of time. The third element of a premises liability claim against a store owner involves the duty to correct or warn regarding dangerous conditions in the store. Once the store owner or their employee has actual or constructive notice of a dangerous condition, there are two options. First, the store owner or their employee can correct the dangerous condition. For example, a store employee can correct the hazard of a broken jar by removing the shards and cleaning the floor. Second, the store owner or their employee can mount a warning for visitors. 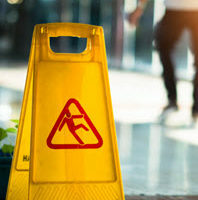 For example, a store employee who recently mopped or waxed the floor should place a sign alerting visitors of a slippery surface. If you are considering a premises liability claim against a store owner in Maryland, it can be exceedingly rewarding to reach out to a trusted personal injury attorney. 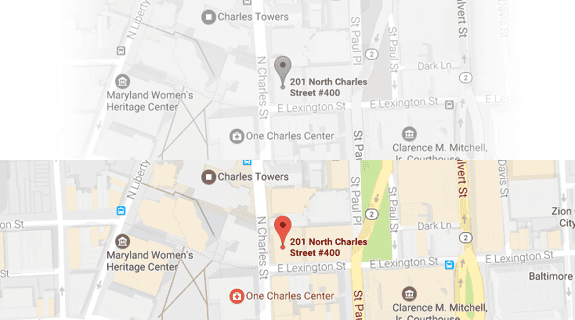 The attorneys at Iamele & Iamele, LLP in Baltimore, Maryland, know how to navigate the ins and outs of premises liability claims as well as other facets of personal injury law. If you need legal help, contact us today for a free initial consultation.